When it comes to protecting your vision and maintaining ocular health, it pays to go to a professional optometrist who stays on top of the latest in eye exam technology. This is why so many patients prefer Maple Ridge Eye Care, where we are proud to offer iVue scanning technology. For patients who have heard of iVue OCT technology but are not quite sure how it works or how it can benefit them, a brief introduction will be useful. OCT stands for Ocular Coherence Tomography, which your eye doctor uses to conduct a comprehensive scan of your eyes. It supports the assessment of the cornea, optic disc, and retina. The system is precise enough to measure how thick your retina is, as well as the nerve fiber layer and cornea. OCT imaging is currently the only non-invasive method for an eye doctor to get a view of your retina’s vascular structures. Before iVue, doctors would have to inject a contrast dye to see these vascular structures, but the new technology does away with dyes. What’s more, doctors now get results in a matter of seconds. iVue is not used for every exam conducted by our optometrists but is used for specific clinical situations. It allows for more precise pre-operative laser consultations, as well as aids in the diagnosis and management of ocular diseases such as glaucoma, cataracts and macular degeneration among others. The scan is quick and easy, and because it can take very precise measurements and then compare the results with objective standards, your eye doctor can quickly determine if there are any indications of disease. This means the optometrist can find a problem before it would become obvious during a normal clinical examination. The earlier you can detect a disease, the better chance to treat it successfully or prevent it from worsening. When iVue scans are performed multiple times over the years, your optometrist can also use the data to keep track of any changes in the structure of your eyes and assess the information to determine if your treatment plan is effective or needs to be adjusted. A powerful scanning system like iVue can help patients like you gain better control over their eye health and catch a disease in its earliest stages when it’s easier to treat. If you’d like to take advantage of the latest in state-of-the-art technology for assessing eye health, we welcome the opportunity to provide you service. 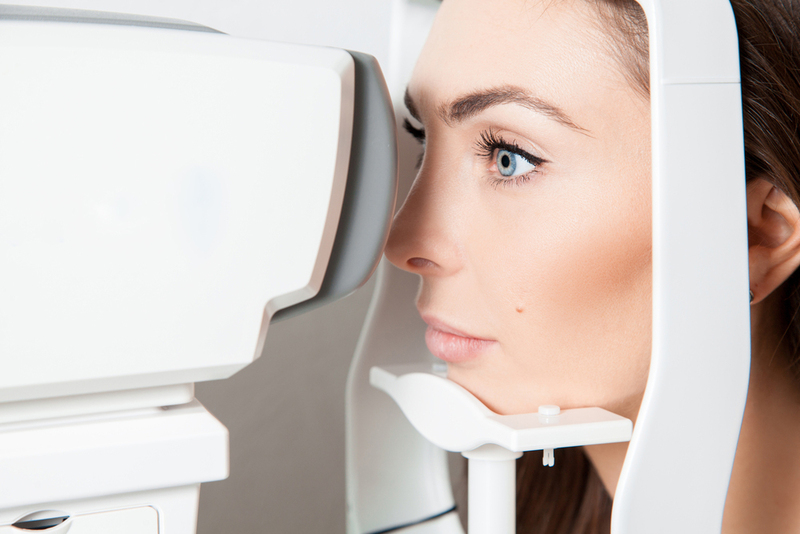 To learn more about the iVue scanning technology that we use here at Maple Ridge Eye Care or to make an appointment for a consultation, please connect with us today.